Everyone likes ladybugs, right?? 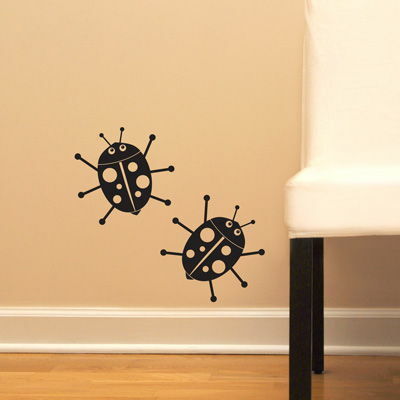 Well here's a set of two ladybug wall decals, and you can place them however you like, WHEREVER you like! 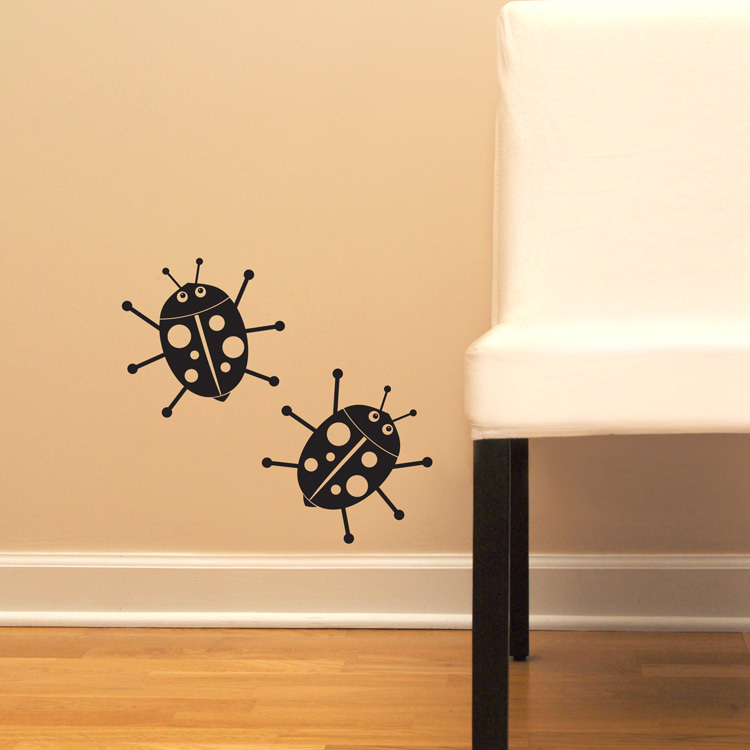 Shown here on the wall in black matte, you will receive THREE ladybug decals, each measuring 7" wide by 7" tall. They are available in all of our colors, too! I love my S\'mores Modern Mosaic tiles. They add amazing depth and rich color to the bland beige color pallet of my rental\'s kitchen. While they are advertised as single use, This is the second apartment that I have used these in. Peeled right off the old wall and put the sections on waxed paper to transport them.